DescriptionGive your cupcakes a unique touch with cupcake picks from the pretty Tiny Feet range. Featuring a simple pram shape polka dot design in both light pink and blue, with text reading ‘Yummy Mummy’ and ‘Little Goodies’. Each pack contains 20 Cup Cake Picks, 4 designs. 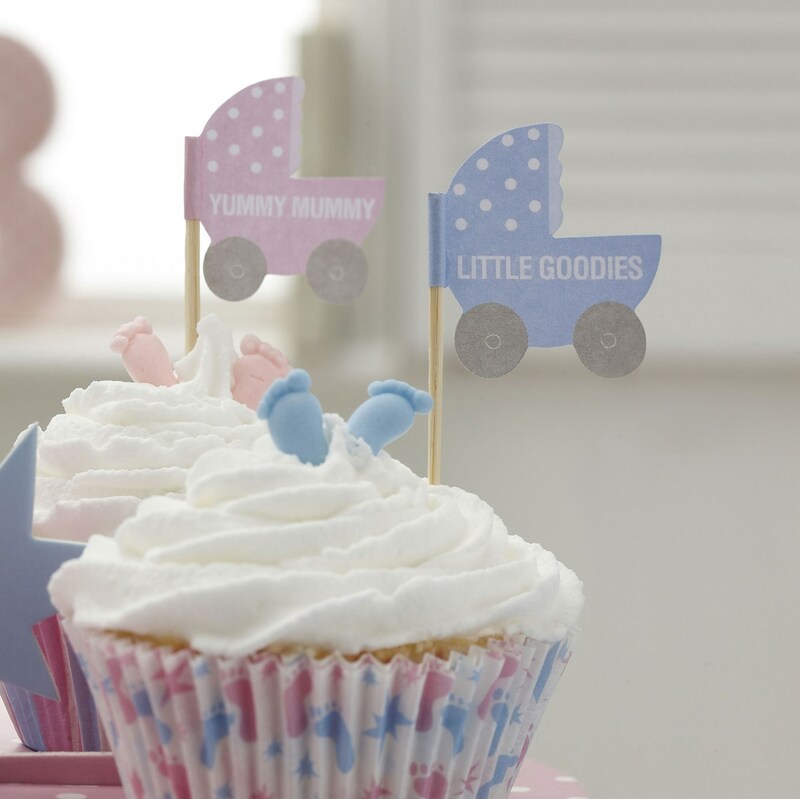 Give your cupcakes a unique touch with cupcake picks from the pretty Tiny Feet range. Featuring a simple pram shape polka dot design in both light pink and blue, with text reading ‘Yummy Mummy’ and ‘Little Goodies’. Each pack contains 20 Cup Cake Picks, 4 designs.